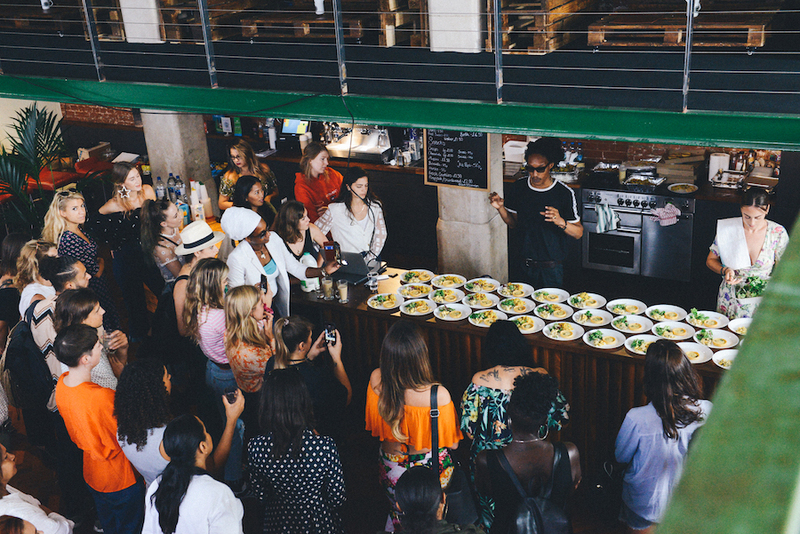 “Women are embracing the opportunity that has presented itself,” said entrepreneur Jasmin Thomas to a room full of women enjoying a CBD-infused brunch. As the founder of Ohana CBD—which sells balms and oils made with the cannabis compound known for its medicinal properties—Jasmin is well placed to comment. Diagnosed with an autoimmune disease in 2015, she began smoking weed to ease the pain. Before long, she’d started producing and using CBD oil and ointment for their antispasmodic effects, and has since turned these concoctions into a successful Europe-wide business. The UK’s CBD industry is still relatively young, and there’s no information available about its gender split, but if the many female speakers at the London event are to be believed, women are increasingly making their presence felt. In the US, an unprecedented number of women hold CEO or executive positions in the CBD industry; according to a study by Marijuana Business Daily, they make up 27 percent of all high-level positions, higher than average across the US business landscape. Jasmin Thomas, founder of Ohana CBD and co-founder of the entOURage Network. 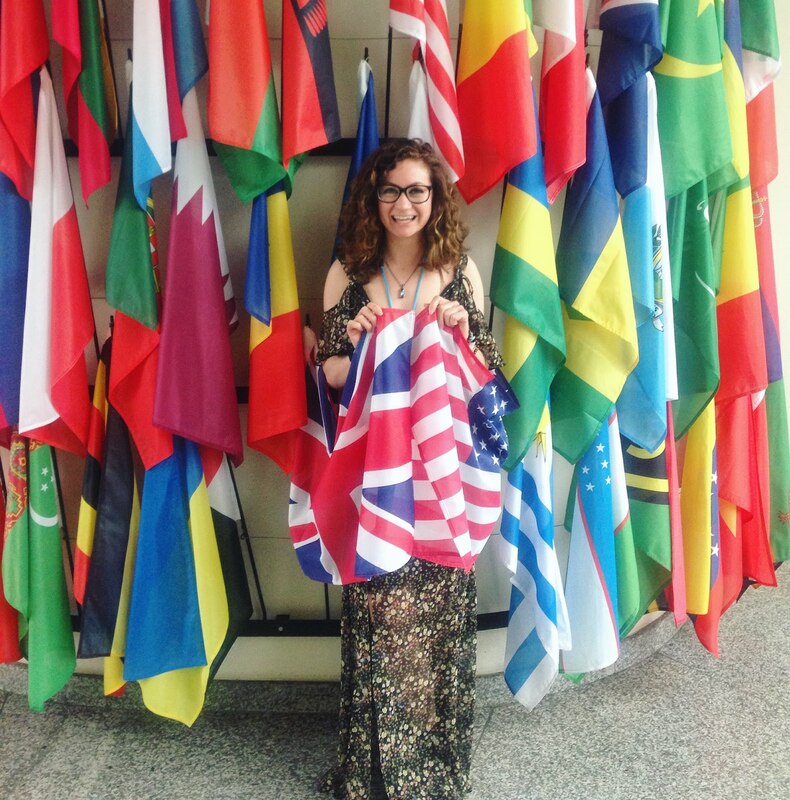 Jessica Steinberg, the United Nations’ official delegate for cannabis policy and co-founder of entOURage Network. Zoe Lind van’t Hof, founder of food brand Wunder Workshop, which creates CBD-infused turmeric lattes and oil blends, explained that she was inspired to start her business shortly after her mother passed away. While caring for her bed-bound mother, who was suffering from terminal cancer, she started importing cannabis oil from a lab in the Netherlands. Miraculously, the oil cured her mother of her illness-related pain, and she even managed to walk again. Zoe was so “impressed and fascinated” by the drug that, after her mother died, she began to research and test it in a laboratory. After a year of development, Zoe produced a food supplement that can now be bought in Planet Organic supermarket. Marketed as a wellness product, her customers also use it medicinally; athletes take her sublingual potion (which is placed under the tongue) for relief of inflamed muscles or injuries, while other customers use it for insomnia and anxiety. The entOURage Network’s CBD brunch. CBD, a non-psychoactive compound found in cannabis, is legal in the UK, regulated by the MHRA, and sold in health stores, vape shops, and independent supermarkets up and down the country. THC, the psychoactive compound in weed, is illegal. This presents problems for people whose conditions are treatable with THC, such as sufferers of certain types of epilepsy. This year, the Home Office granted special permission for two epileptic boys, Alfie Dingley and Billy Caldwell, to be allowed the THC-infused cannabis oil that drastically reduces the number of dangerous seizures they experience. This was heralded as a landmark moment by campaigners—and sure enough, this month, Home Secretary Sajid Javid announced that senior doctors will be able to legally prescribe medicinal products containing THC on the November 1. Chelsea, however, was more positive about the state of the CBD industry itself, noting that it has attracted kind and gentle characters, fostering a spirit of inclusivity that’s rare in these kinds of boom industries. This is partly due to the diversity in characters, she said, from the grassroots activists who have been working behind the scenes for years, to the vibrant young investors. 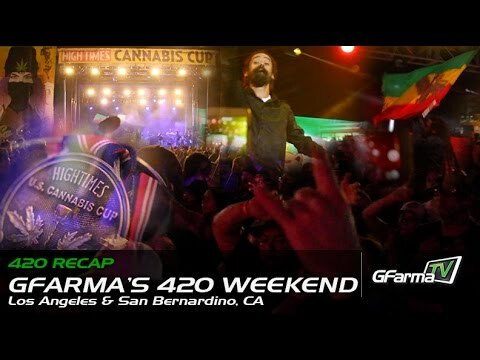 High Times Cannabis Cup 2017 & Nexus Social Lounge | GFarmaLabs 420 Weekend! GFarmaLabs enjoys their 420 in LA at the Nexus Social Lounge and then the fun continues for the rest of the weekend at the high times cannabis cup!